Venezuelan officials have announced the seizure of a large shipment of American weapons which they say were bound for anti-Maduro “terrorist groups.” This comes following US national security advisor John Bolton’s pledge to deliver “humanitarian aid” into the country, covertly if need be, despite embattled President Nicolas Maduro’s vow to prevent such unauthorized shipments from entering. A state official, Endes Palencia, the deputy minister of prevention and public safety, published photographs of the intercepted weapons shipment to social media, purportedly seized at a Venezuelan airport. 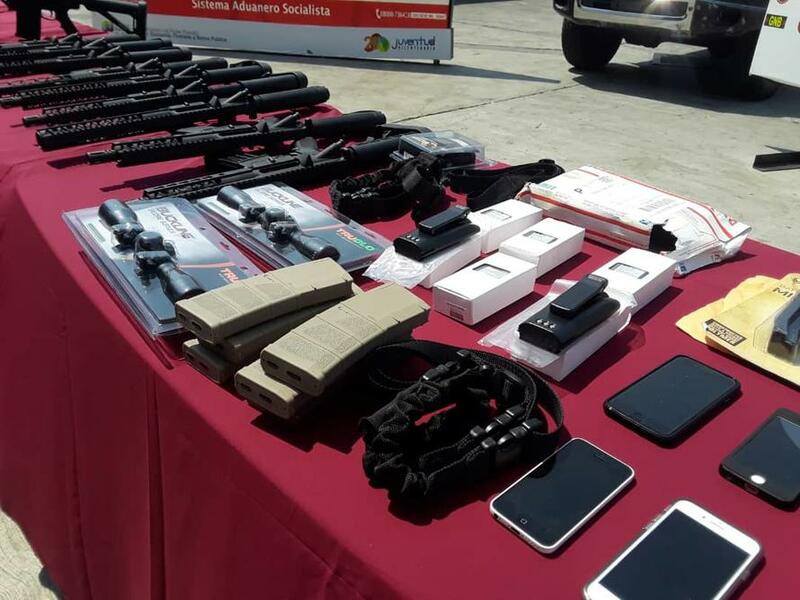 According to his statement at least 19 rifles, 118 rifle chargers, 90 radio antennas, high-caliber ammunition, and six cellphones were shipped from the US to Arturo Michelena International Airport in Valencia. An investigation has been launched amidst tightened security at all ports of entry and customs checkpoints throughout the country, and as a military build-up ordered by Caracas continues along the border with Colombia, considered a close ally of the United States and potential staging ground for US assets. They said they’ll find those responsible “for financing terrorist groups that seek to undermine the peace of the people of Venezuela.” Turkey is among countries that have remained vocally supportive of Maduro, along with Russia, China, and Iran, while some 19 European countries have backed US recognition of opposition leader Juan Guaido as “Interim President”.